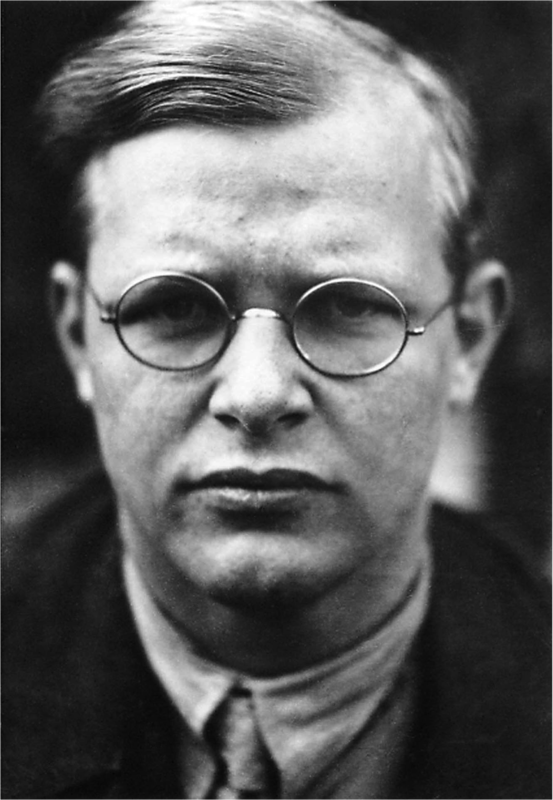 Dietrich Bonhoeffer was a man of exceptional moral courage. He was born in 1906 in Germany into a comfortable professional family, and surprised his family by deciding at the age of fourteen to train for the clergy. As Hitler and the Nazi party rose to power it was Bonhoeffer’s view that the Church had a duty to stand against the injustice of anti-semitism. The day after Hitler assumed office in 1933, Bonhoeffer gave a radio broadcast directly challenging him. His Church failed to support him. He argued that that the Church had responsibilities to the state but in the case of gross misrule, as with the Third Reich, the Church had a duty to act – to ‘jam a spoke in the wheel’. Support amongst fellow churchmen was weak or absent and he ended up having to work alone. He had excellent prospects in the Church but not only risked all such prospects but also censure from his profession, friends and society. His actions put him in personal danger. He was not a zealot. He didn’t have the comfort of single minded conviction, but questioned how he alone could be right when highly esteemed clergy did not support him. He believed that action was needed and finding no support within the Church, he joined the Abwehr, a military intelligence unit, acting as a double agent trying to get allied support for a coup to bring down Hitler. This entry was posted in Blog and tagged courage, inspiring people on January 27, 2014 by Jane Hanford.